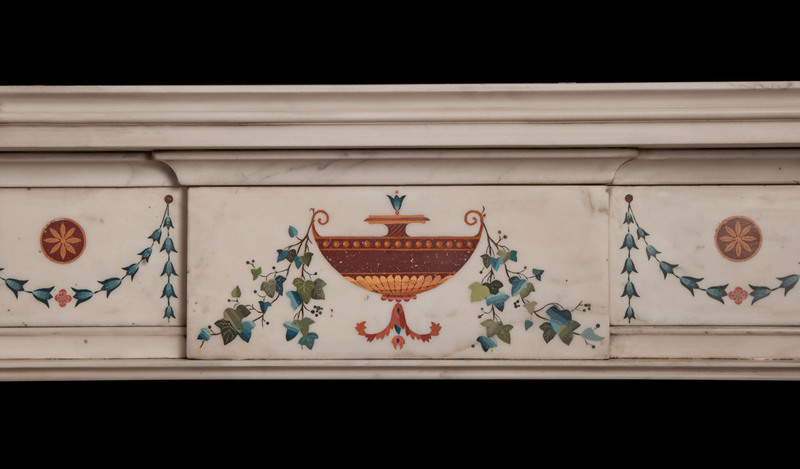 This very fine statuary marble and scagliola chimneypiece with inlaid neo-classical designs is in the manner of Pietro Bossi. 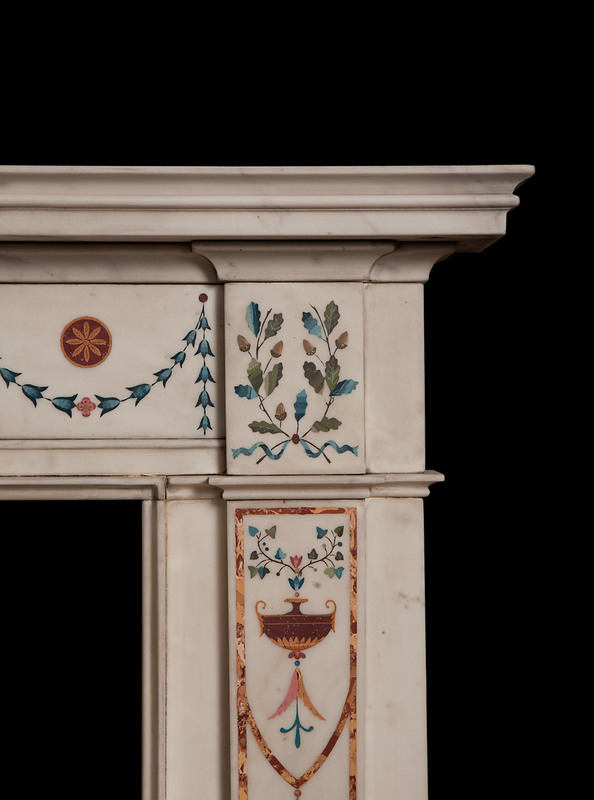 Born in Italy and moved to Dublin in the late 18th century, Pietro Bossi developed and perfected the technique of inlaying scagliola. 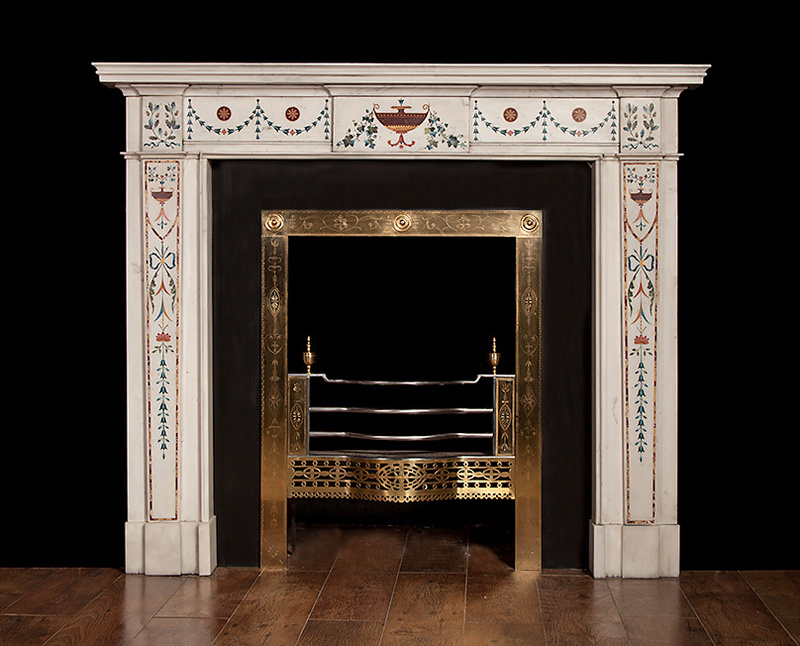 This technique has been replicated by Ryan & Smith to produce this uniquely Irish fireplace. 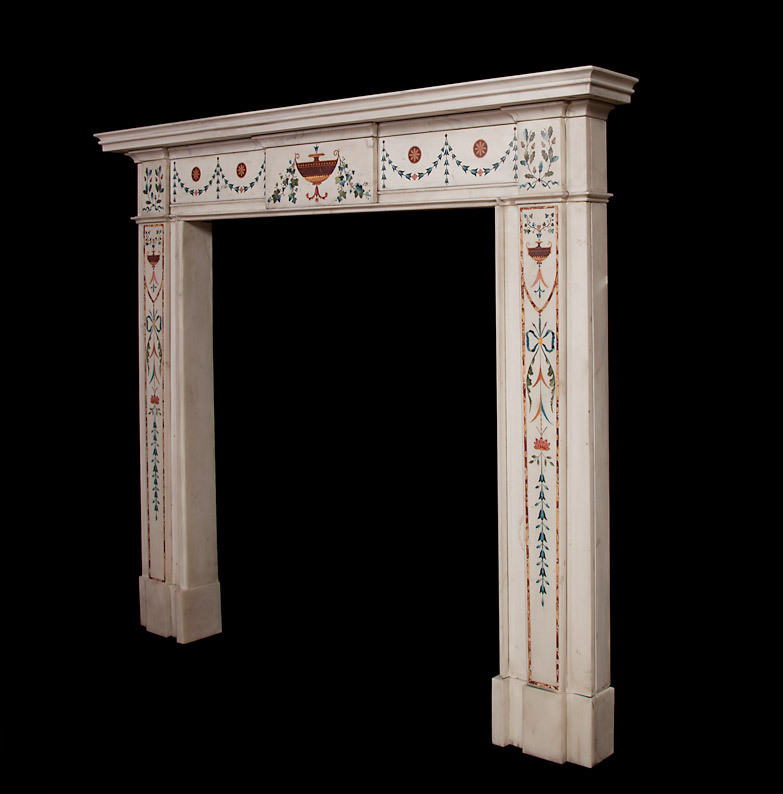 Fireplace in image with distressed antique finish.